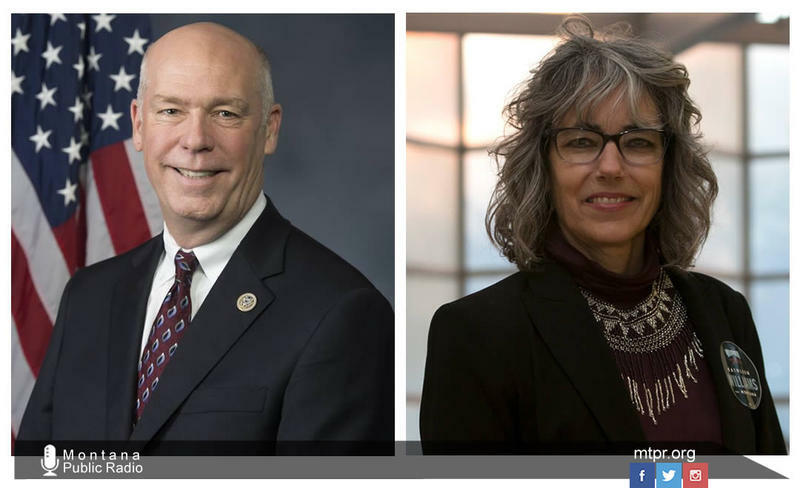 Montana U.S. House candidates Greg Gianforte and Kathleen Williams. The candidates running for Montana’s seat in the U.S. House are using very different campaign tactics. MTPR’s News Director Eric Whitney talks with longtime political reporter Tom Lutey about what the candidates are doing, and why. Tom Lutey: I think the relationship the candidates have with the press or, you know, at least the way the candidates interact with the press has changed a lot, and part of that has to do with the fact that candidates now have so many other outlets to get their message out. It's rare anymore to just speak directly to a politician or speak to directly to an elected official. Eric Whitney: When I started in journalism, before the internet, candidates relied a lot more on the news media to get their message out or make people aware of them. Do they even need reporters anymore? TL: Well, I think they do, obviously that's changed and you see that in everything from email to social media, you know, the targeting of voters is much better, so you can sort of effectively as a candidate reach the people who are most likely to hear your message and respond and to vote for you. That's one thing, but when you’re doing that, when you've sort of honed your audience down that much, you've also honed it down to the point that you're not having that general conversation that you used to when you had to really reach to the press. EW: When I started reporting and started covering campaigns, I just sort of assumed that you really need the media and you’re going to reach out to reporters all the time and get as much publicity as you can. That's not actually the case, it seems. TL: Absolutely not, as campaigning is become a better science, there's a lot more focus on impressions. You'll hear a lot of campaign managers will talk about impressions and just sort of getting so many exposures of their client before the public. And they're really not talking about media appearances, which is T.V. advertising, radio, and now obviously social. That's changed things quite a bit. 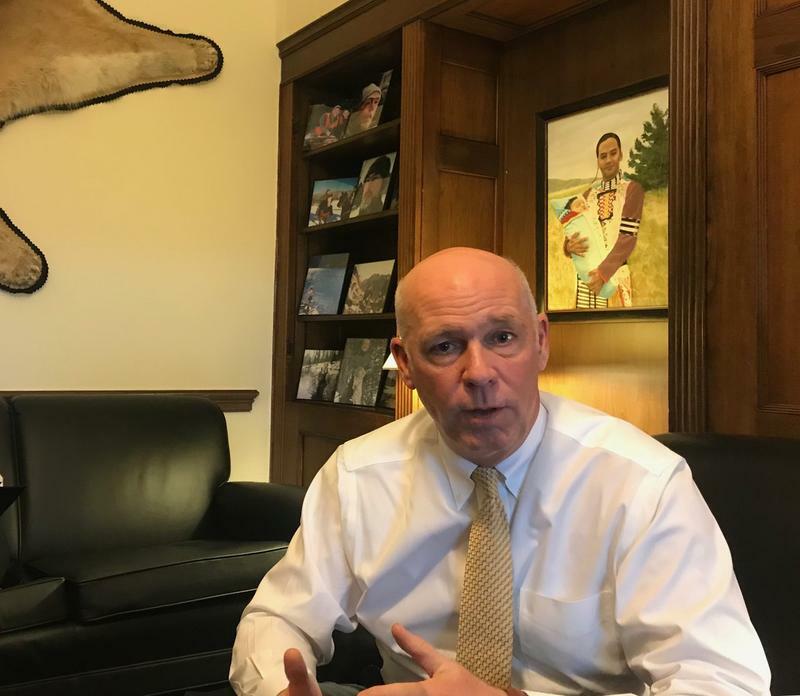 EW: One of the reasons I wanted to check-in with another reporter who's covering the U.S. House race is because of something Congressman Greg Gianforte said in an interview with our reporter Nicky Oulette on August 29. 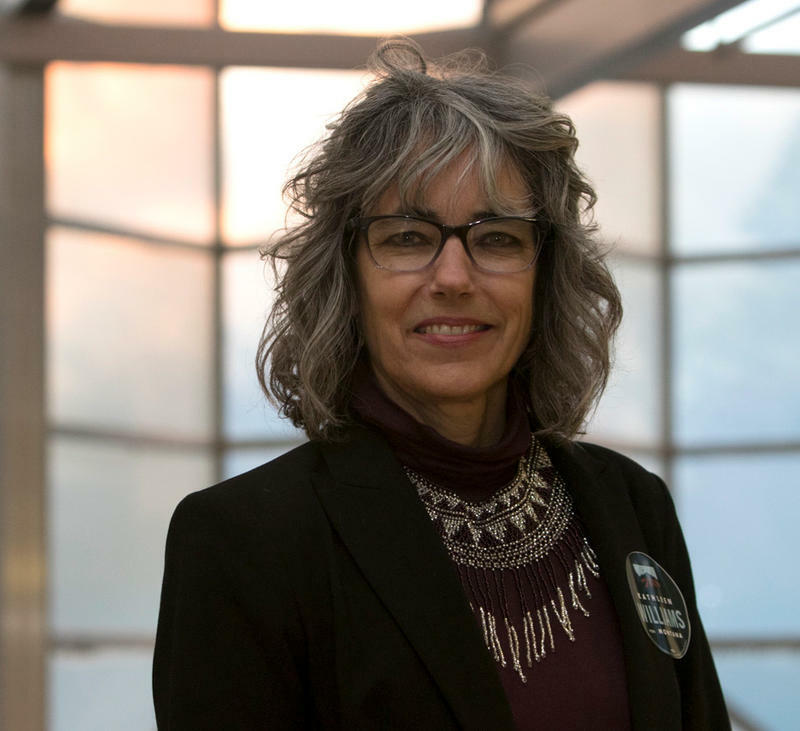 "This month, I've had 33 campaign events held in Dillon, their new playground, helped them spend an afternoon building a playground, got the great pleasure of being the grand marshal at the Bozeman stampede, danced in the Pow wow at the Crow Fair, so my job is to be out and be accessible and that's what I've been doing," Gianforte said. EW: I was surprised to hear Mr.Gianforte say that, because a week before that interview, I asked his campaign for a list of campaign events and they never replied. So why would a campaign hold 33 events in a month, but not tell the media about them? TL: If you look at a lot of the things that they do, I don't know if a lot of them are media-worthy. They frequently do things that we don't cover. EW: Right, and there are no, it's not like there's a written set of rules that candidates have to follow, like they have to do x number of public events or any public events whatsoever. My experience with this campaign, the Gianforte campaign, and the Williams campaign, are very different in terms of their public outreach. And if you're just a regular person and you want to attend a campaign event for one of these candidates, they're not listed on Mr. Gianforte's Facebook page. If you go to his campaign homepage, there's not like a list of events there. And that's very different than the Williams campaign, which seems to be holding a lot of public events and you know, trying to get the word out there to get as many people as possible. Williams has a lot more incentive to hold public events and try to get coverage in the media because she has a lot less name recognition, and it's always an uphill battle for challengers versus incumbents. That's how I see it, does that jive with what you're seeing? TL: In looking around, you kind of get a feel for where Gianforte may have been just in the last few days, I mean, I've got him in Havre for two days, I've got him in Chinook, Glasgow, I've got him in a tribal leadership meeting in Fort Peck, I've got him in Sydney, Montana, whether or not those things are advertised, well I don't think they probably are advertised well, but at the same time, just the other day, because this issue comes up a lot at our office, as we talk about, you know, how much notice we're actually given for things, because everything's awfully short-term notice anymore. I used my outlook mailbox, just did a search for email, under "for planning purposes only" and its staggering how many things come up. It’s not just for Greg Gianforte, that's for our entire delegation. EW: When you see that line at the top that says "for planning purposes only," what does that mean? TL: Asking you to not broadcast it. They're giving you a heads-up because they would like you there to cover their event, but their also asking you that you not make that event public in advance to everybody. You know, Tester had an announcement for a major endorsement that was for planning purposes only. And you kind of look at that and say, well, I don't see why anybody couldn't have shown up for that. But that certainly is something we see. And we it see a lot. EW: To me, it’s a question of risk and reward, and you can potentially benefit a lot by having a lot of people come to your event or a reporter writing a story about you that can be good for your campaign. But you're also taking a risk that opponents might come to your public meeting and maybe protest there or steal the show or a reporter might ask you questions that you're not comfortable answering, or you might not give a good answer to. TL: Oh, absolutely, all elected officials mitigate risk. EW: If we're comparing the Greg Gianforte campaign and the Kathleen Williams campaign, which candidate do you think has more at risk or has more to gain or lose, from having a lot of public events or talking to the media? TL: I think its all gain for Kathleen Williams. You know, on her Facebook page, for example, just in August, she had 19 events that were mostly meet-and-greet, you know, events that really kind of open the doors to everyone, as opposed to the kind of event where she’s sitting down with the supporters or, you know, people who are really sort of representative of one issue to have a roundtable discussion. Uh, no. I mean she's out there probably more than everybody else, willing to meet with everyone. And she should be, she should be, because she's the least known of anybody and she has the least amount of money. She doesn't have a lot money, she has a lot of time, and she really needs to spend that time as much as she can introducing herself to the public. EW: And again, my impression is that it's not a question of, well, she's doing it right or is doing it wrong or she's a better candidate because of that strategy, it's just for her campaign, that strategy makes sense, and for Mr. Gianforte, why wouldn't that strategy make sense for him? TL: You have to wonder with Gianforte, how much of that he actually needs. This is the third general election for Gianforte in three years, that's something few candidates have ever experienced. Voter fatigue, obviously, is a real possibility, the other part about it is that he's already put forward millions of dollars in getting his name out to the public and so when you're talking about the risk, you say, okay how much more do I need to get my name out. I think he's probably at the point of cashing a return. You know Kathleen Williams, I think, has a lot of energy behind her. She doesn't have a lot of money; her party has given her minimal support. I have to wonder if Kathleen Williams had $6 million, and she had, say Rob Quist money, if she would be out there doing as many just sort of open-door meet-and-greet events as she is. But it's nice to campaign like that, we like the idea of meeting politicians face-to-face, I mean this goes back to, you know, Max Baucus and his ride across Montana, right, to introduce himself to the state, but there's also limits to that. Alright, there are limits to that. If you're meeting voters eight at a time, or even two dozen at a time, you know, at the end of the day, your reach is being measured in the hundreds and the thousands, and not the tens of thousands or hundreds of thousands. EW: Well, Tom Lutey, thanks so much for talking with us at Montana Public Radio. TL: Yeah, sure. Thanks, Eric. EW: Tom Lutey covers politics, agriculture and energy for Lee Newspapers of Montana. 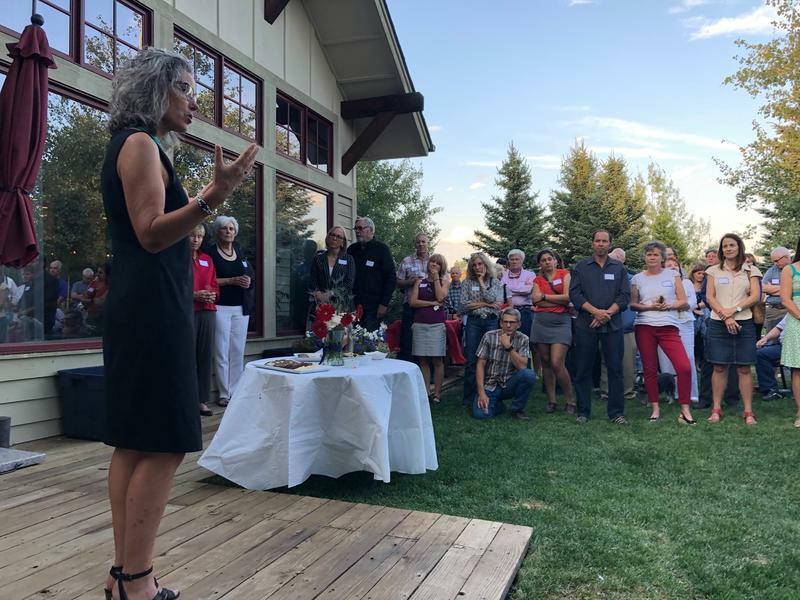 Democratic candidate for U.S. Congress Kathleen Williams held a fundraiser in Bozeman late last week. It was at the home of some supporters on the southside of town. And before the drinks and food and speeches got set up and going I sat down with the candidate to catch up about the campaign and recent news in politics. Trump rallies in Montana again hoping to defeat Jon Tester's bid for re-election — and it's personal. New campaign ads in the House and Senate races stretch the truth. And Governor Bullock shifts position on guns as he ponders a run for president. 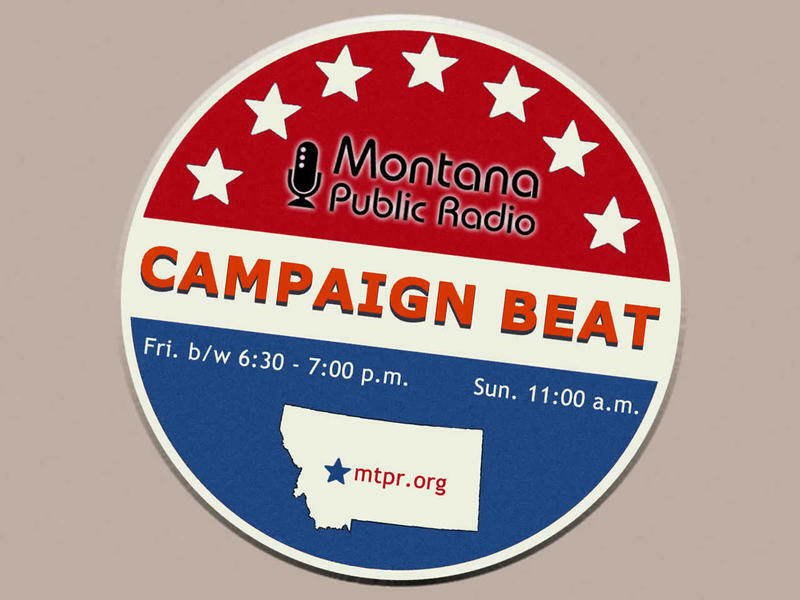 These stories and more tonight on "Campaign Beat," MTPR's weekly political analysis program. 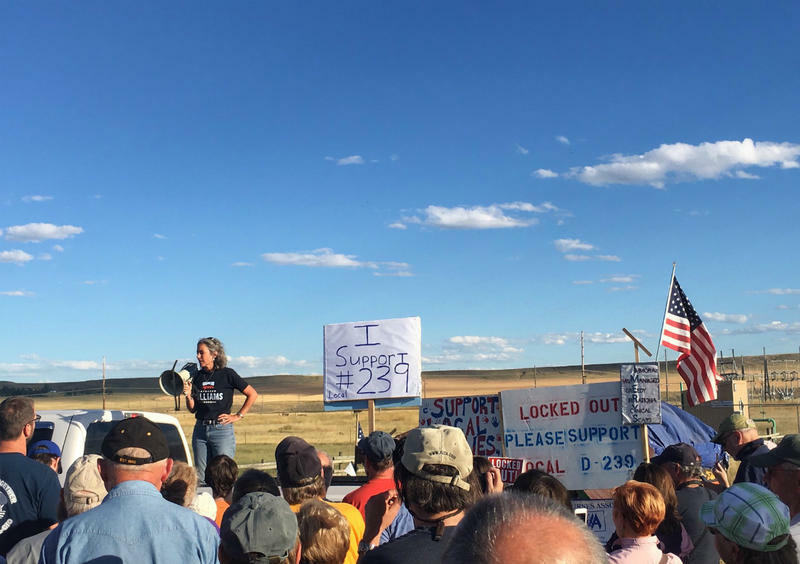 State politicians and others from around Montana joined union workers locked out of a talc-milling plant in Three Forks for a Labor Day rally Monday. The workers are going on their fifth week of picketing outside of the Imerys America Talc Mill after failed contract negotiations. 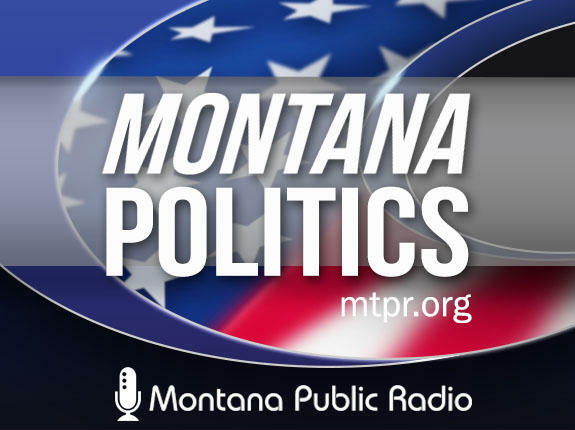 Now that Montana's primary elections are over, we're profiling the candidates voters will choose in November to represent Montana in Congress. Today, Greg Gianforte, the Republican who won the special election last year earlier to replace Ryan Zinke, who was appointed Secretary of Interior.